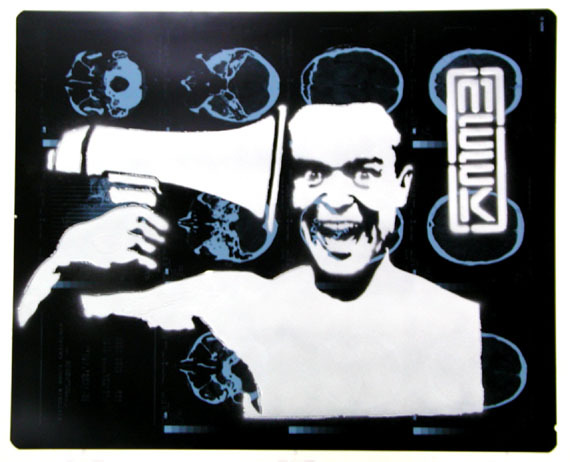 Like many street artists, I can’t find much information on the stencil artist known as Meek. What I do know is that he is based out of Melbourne, Australia (a mecca for street/stencil art) and his work is sick. His art started appearing around 2003, and he has been gaining notoriety ever since. There is also a sparsely detailed Wikipedia entry on Meek here.